Franklab was founded in 1976 to respond to a major problem of decontamination from an important French research laboratory. 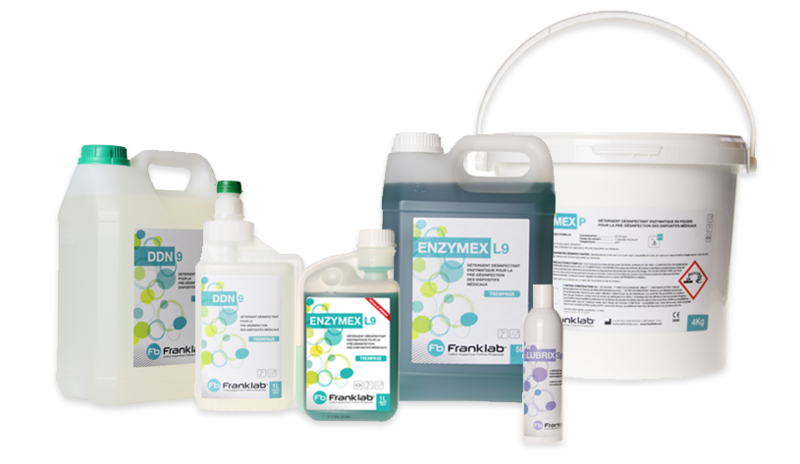 Very soon, Franklab decided to develop a full range of innovating detergent and disinfectant products. Our goal has always been offering a personalized solution to every customer with an expertise, appropriated products and a commercial service dedicated, thanks to specialized tools by application. For 40 years now, FRANKLAB has been designed, manufactured and commercialized its own detergent and disinfectant products according to the European rules. We are now present on the health and on the research and education market with 10 range of specialized product by application. 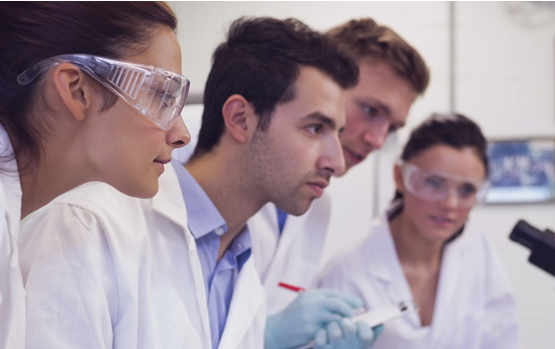 Our family-owned company, works with several structures all over the world: in Europe, in Asia, in Africa and in America and with our own R&D laboratory. To design, manufacture and commercialize a wide range of quality products for Medical Devices (Surgical instruments, endoscopes, etc…)and bedpans washer disinfectors processing, for the floors and surfaces biocleaning, for the laboratory glassware cleaning, for the radioactivity decontamination and for hand cleaning. To offer innovating environmentally friendly products while guaranteeing our customers satisfaction.